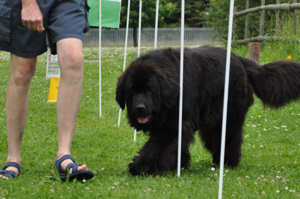 Grangewaters Newfoundlands held a Fun Day in July on behalf of SNC with everyone welcome to attend, the aim being of course to go along and have fun with your Newf (or Newfies!) 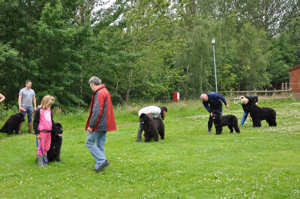 and get involved with a wide range of activities that were on offer. I have never been able to get to this event before and was determined that nothing was going to stop me this year. 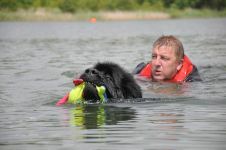 The venue is superb with a fantastic lake and it was obvious on arrival that everyone had obviously been up very early and had worked very hard to get everything organised to make the day a success. The threat of rain was definitely not going to spoil the day. 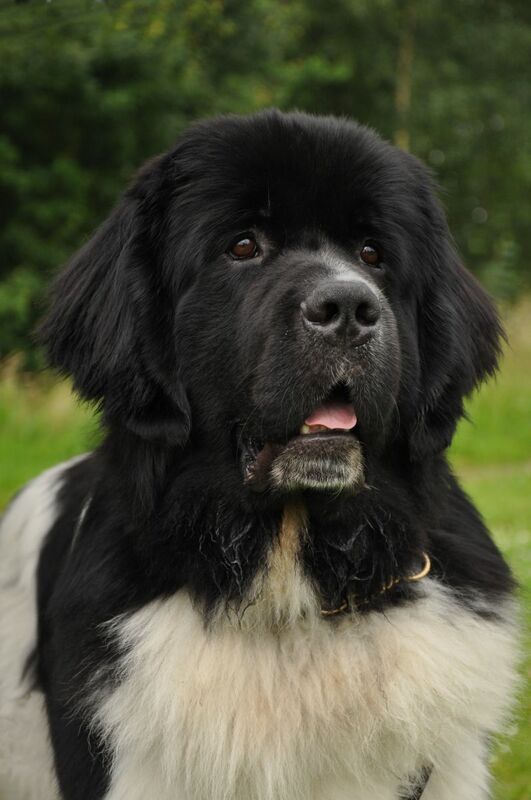 I had only taken one Newf - Bleu - with me and decided that I would brave a wetsuit and take the plunge! 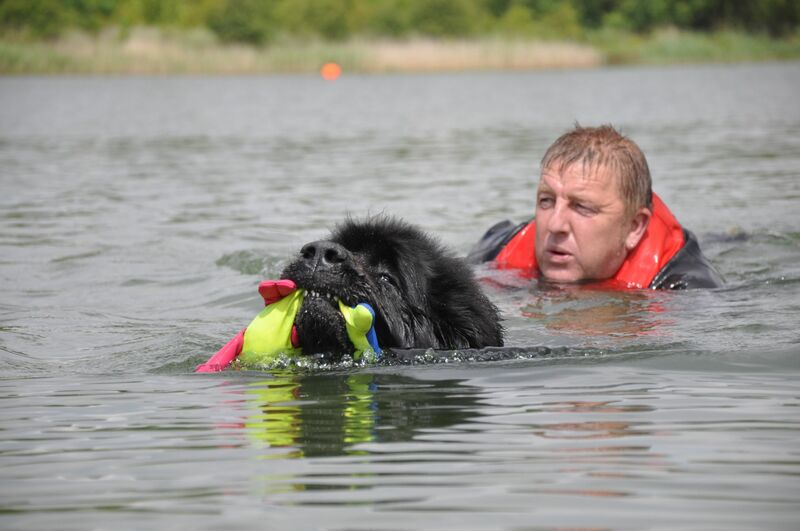 Well that didn't quite happen but Bleu had a fantastic time in the water with the Grangewaters team, Terri was brilliant with her and took her out swimming and said there was no reason she would not pass her Level A water test. 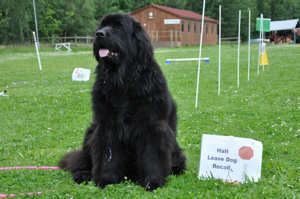 Thankfully my good friend Geoff Burns came to the rescue as handler as I chickened out and later that day Bleu passed her first ever water test, so proud of my girl. Thanks to everyone for making that possible. 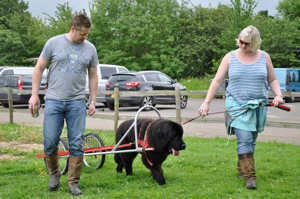 I was also really delighted to see Harry and Molly, SNC welfare dogs, come along with their lovely family and they joined in with all the fun including Good Citizens Bronze test and a fun dog show judged by Steve Smith with prizes and cards for all the dogs. 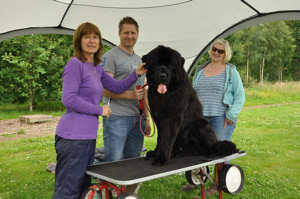 The sun shone in the afternoon and more people arrived to enjoy Jan's grooming advice, it was wonderful watching Penny's Arthur on the agility course as I had not seen a Newf do agility before and he was really good at it. 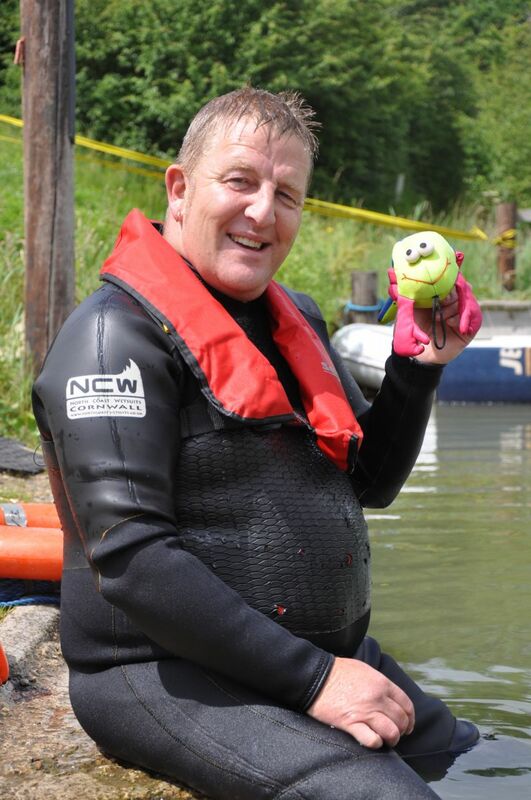 Our good friend and ace photographer - Paul - was in attendance in the water and flying here, there and everywhere taking superb photos as you will see below. A big thank-you to Graham and Jan and all the Grangewaters team for organising this event and to everyone who got involved. It was a very enjoyable day and I will definitely be going back next year.